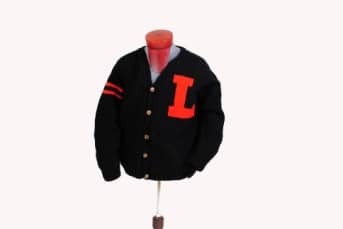 Classic varsity letterman cardigan. Hand knit with 100% wool. In black with the School's "L" largely displayed on the front left.